Our Featured Properties, hand-picked just for you! Over 900 - 5 Star Traveler Reviews! 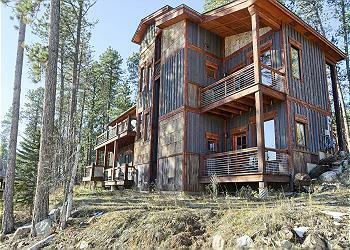 Welcome to Black Hills Adventure Lodging. We're your local team for the best quality vacation lodging and planning near Deadwood, Sturgis, Spearfish, Rapid City, Hill City, and all around the Black Hills. 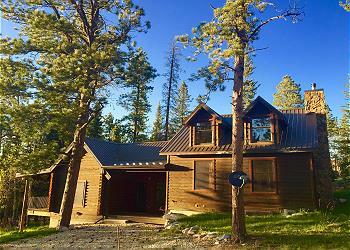 We have the best properties in the area ranging from small, cozy cabins that encapsulate you and your guests deep in the woods - to luxurious properties with all your favorite amenities and sleep up to 20 or more, near bustling gambling towns. We're committed to giving our vacationers the personalized service they expect when traveling on a luxury vacation. 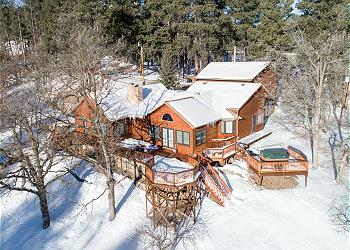 Each property has it's own unique amenities and locations near the best spots to visit when traveling around the Black Hills. Whether you're in the area to ski, enjoy nature, or hop on your motorcycle to take in the scenic beauty of the Black Hills, we have amenities that will suit your trip. We're eagar to help guide you in planning your vacation to South Dakota.